The Power Stretch Neck Shield is a stretchy and breathable neck gaiter in Polartec Power Stretch fabric. 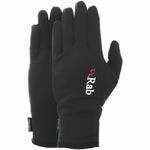 The Power Stretch fabric provides a high level of breathability and wind resistance, whilst simultaneously pulling moisture away from your skin to keep you dry . 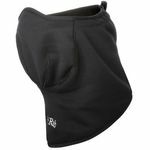 The single layer construction and low bulk soft Lycra lining make the Power Stretch Neck Shield ideal to be worn with a jacket or helmet in harsh, cold conditions. An adjustable rear drawcord increases versatility and comfort.